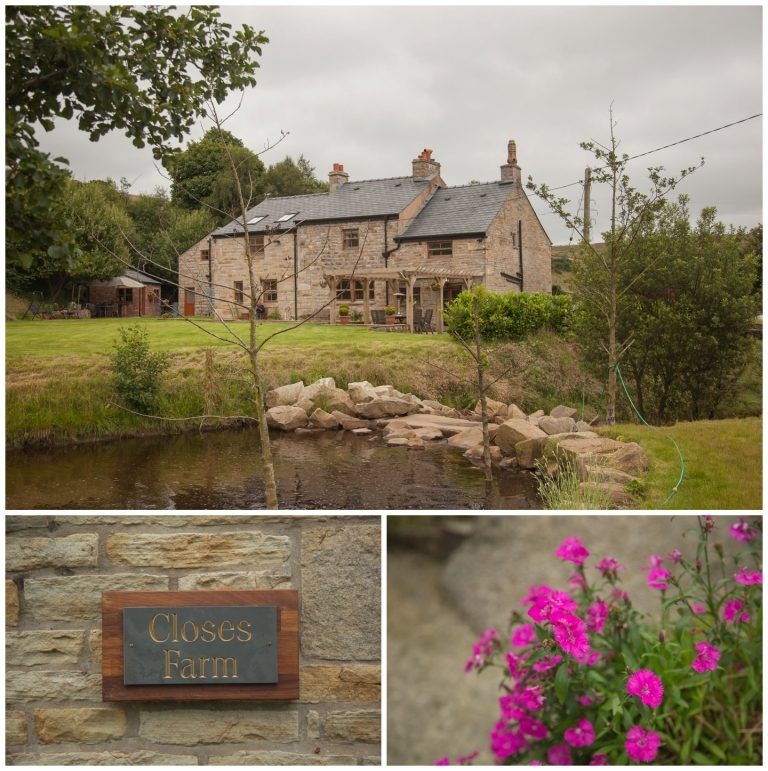 Next up is Joanna & Matt’s amazing rustic wedding in Bury set within the beautiful countryside on Joanna’a best friends farmhouse. A few years ago I ran a competition, and Matt and Joanna were the delighted winners who won their wedding photographer for the day! Me and Joanna had both grown up near Edenfield and gone to the same primary school where she was friends with my cousin so it already felt like we were friends by the time we met. Joanna and Matt are like a breath of fresh air, like two best friends that are so completely relaxed with each other and don’t take life too seriously. Their wedding reflected them perfectly with the laid back party atmosphere and jam packed with loved ones. 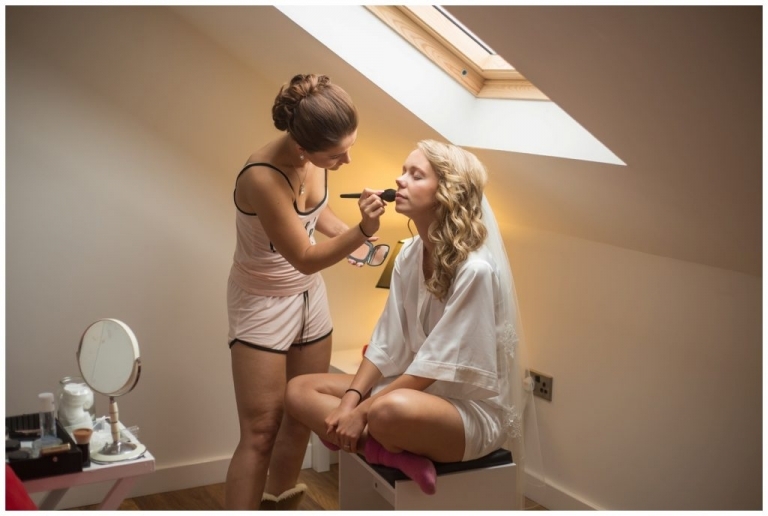 As I arrived on the morning of the wedding the girls were getting ready in the annexe of the farm house and preparations to the barn for the reception were being completed. 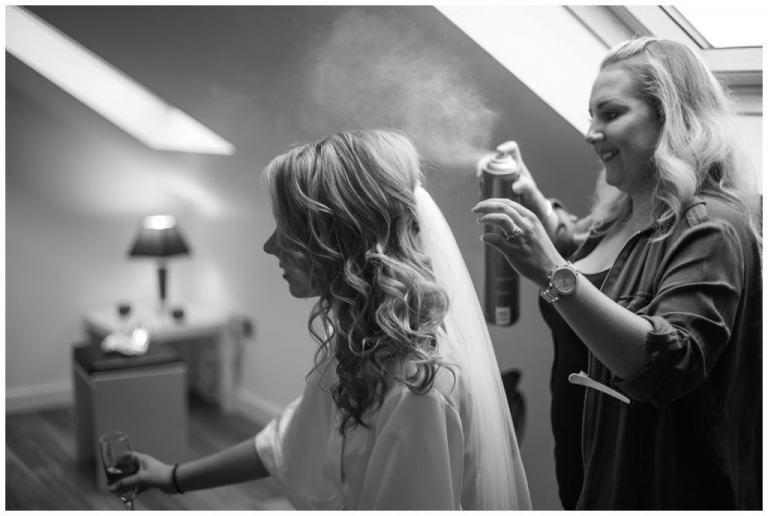 The morning was perfectly chilled as Joanna had left nothing to chance and organised everything, I love a bride who organises with military precision, because it usually makes the day run like a dream! After the lovely church ceremony and a few slightly damp family photos we all headed over to the barn. Greeted by few hairy or should I say, muddy moments with the best man and helpers pushing a car out of the mud on the ‘wedding car park’ aka field! Luckily the bride and groom arrived unscathed before I stole them away the for a walk around the countryside and a few relaxed portraits before the wedding breakfast. Then it was time for me to leave as the hog roast began. These newlyweds are off on the Honeymoon of their dreams to the Maldives later this week so here are some of my favourites before they go. Congratulations again you two!